The word Deepavali translates into “rows of light”; the lights that illuminate our hearts and homes, the lights that shun evils and gives us the power to do good deeds, to find hope and reason and prosperity and finally the light within each of us for the awakening of the soul deep within oneself – a way to a higher reality. It is considered to be a new beginning, and hope in many ways. Many financial/business calendars begin on this day. During Diwali, millions of lights illuminate every corner of India. 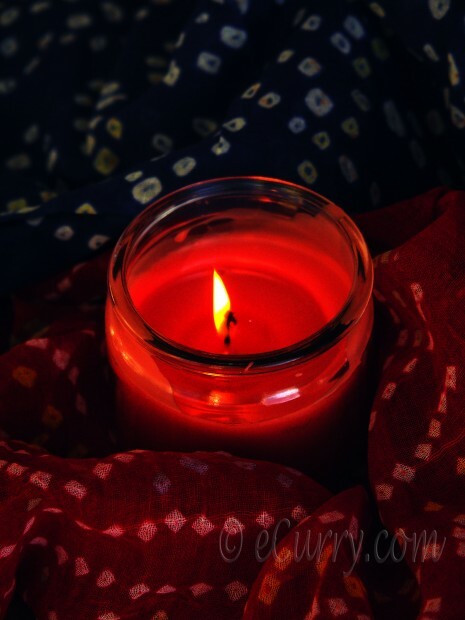 Homes and streets are decorated with deep/diyas (little clay tealights) and the air is filled with festivities, rising fragrance if the incense sticks, the sounds of fire-crackers, happiness, laughter, love and sharing and of course food. Traditionally days are spent cleaning up homes, buying new clothes and gifts and making snacks and sweets to share with family and friends. 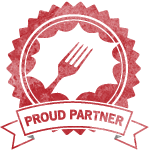 The kind of food depends from one home to another in different regions of India. My favorite part of this festival would be lighting up my entire home with diyas and candles. Having no siblings, I had taken this entire responsibility on myself to put the diyas all over our home, terrace and veranda to make it glow through the evening. I loved it when they started to burn, to see the little twirls of smoke rise up and that religious aura that it contributed to the atmosphere. Enjoying the fire crackers with my cousins was another beautiful part, and being all girls we steadily stayed away from all the noisy ones. With the spirit of the season, here we are wishing you all the prosperity, warmth and happiness that life can offer. Keep the light inside you glowing always and illuminate everyone else around you… Happy Diwali to all of you! Anjeer/Fig halwa had never been done in our homes during Deepavali. 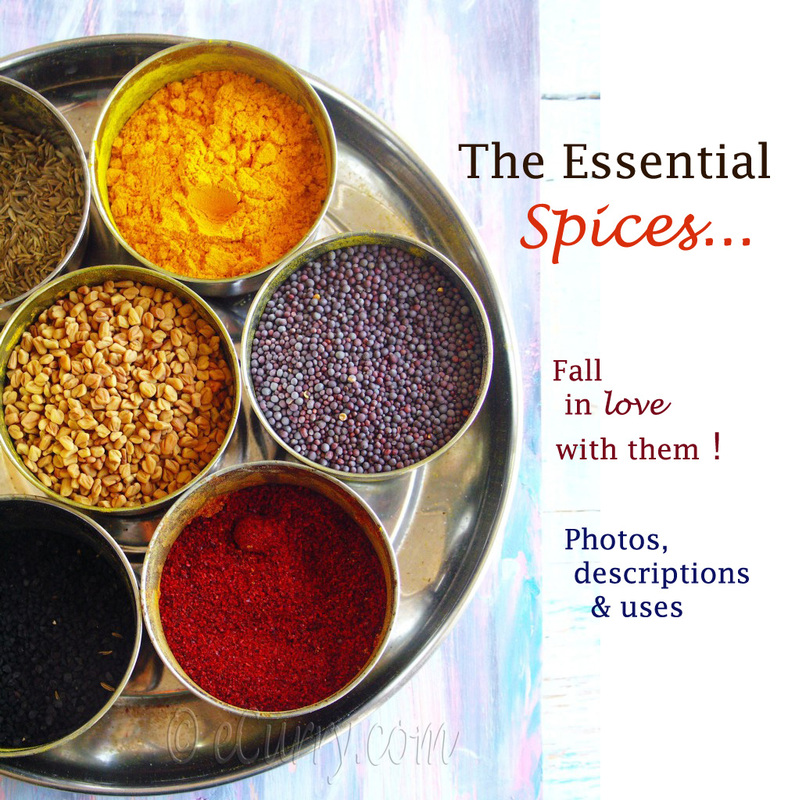 This is something I had been craving for a long time and had been planning to make at home. This is one of the easiest traditional recipes to make and a healthy one too. 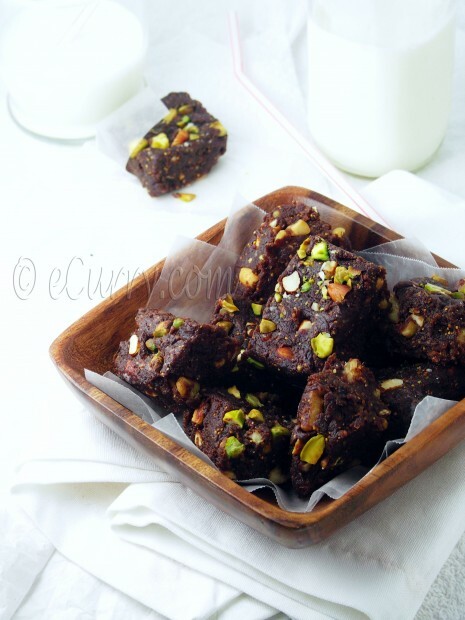 No sugar is needed as the dried figs are naturally sweet and the halwa requires way less ghee than any other dessert. My daughter calls it a Fig Brownie; a well justified name! Note: I have used 2 cups of milk here only because I anticipated trouble pureeing the dry figs. If you can manage to puree/make a paste with the figs with less milk and without burning your machine, use less milk. The more milk you use, the longer it will take to cook or reduce the figs. Sugar is usually not required as fig is naturally very sweet. I did use some as the sugar helps the halwa get sticky and of the right consistency. You can use any kind and any combination of nuts and more nuts than I have used here. For a vegan option, use almond milk or just water instead of milk and butter substitute for ghee. Khoya/Mawa or thickened milk may be used to make this halwa, but we like ours without it. If you would want a rich halwa use about 1/2 cup of Khoya and cook along with the fig paste. Soak the figs and the saffron in the warm milk (I heated the milk for about 2 minutes in the microwave) for at least half an hour. 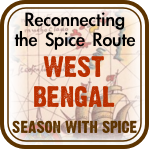 Make the cardamom powder and set aside. Toast the nuts very lightly, cool and chop them into small pieces if required and set them aside. Make a paste with the milk and the anjeer/figs. In a large thick bottomed pan (nonstick pan or my favorite cast iron) add 2 tablespoons ghee and the anjeer/fig paste, cardamon powder and the almond powder and cook at low to medium heat until it thickens and changes color to a darker shade of brown, for about 35-45 minutes. You will need to stir it occasionally and scrape the bottom and the sides of the pan to prevent sticking. At the end of 35 – 40 minutes you will see the quantity of the mixture has reduced. It will be sticky and the entire mass will leave the sides and the bottom of the pan and kind of accumulate as a lump/ball when move around with spoon. If the paste has reached this stage, switch off the heat. 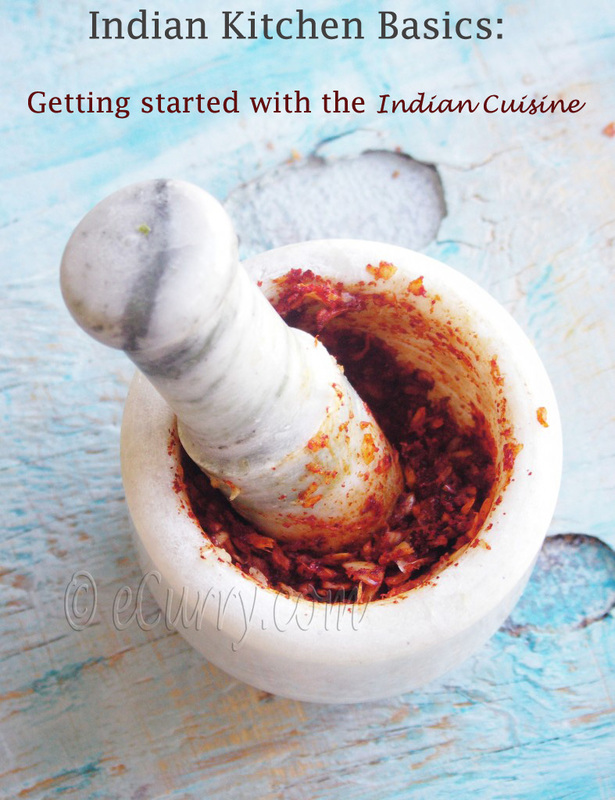 Add the the toasted nuts,(leaving a few spoonfuls aside to garnish on the top) and the tablespoon of ghee to the pan and stir well together for the nuts and the fig paste to combine. Let it rest for about 5 minutes. Meanwhile lightly grease a plate with ghee. Spread out the mixture onto the greased dish, with medium thickness (about 1/2 inch). Flatten and even out the top and garnish with the saved toasted nuts. Set it aside for about half an hour or until it cools down. Cut small squares and serve. These little squares could as well work as a quick to go power bars/breakfast bars. Thank you Soma for the wishes. Wish you and your family a very happy Deepavali ! Delightful! Have a great time. 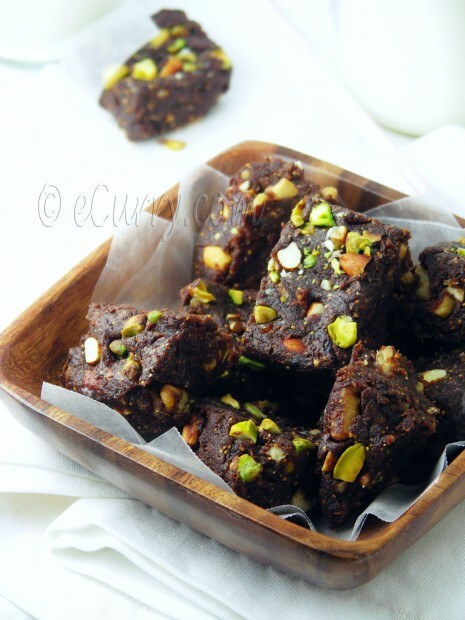 Yum….I love figs & your little one is right it’s fig brownie…..I can almost feel the texture of this halwa, thanks for sharing this recipe as I’m always looking for recipes for fig prep…..happy diwali to ll of u…. i meant all of u. Happy Diwali dear Soma and lots of love and blessings to your two princesses. 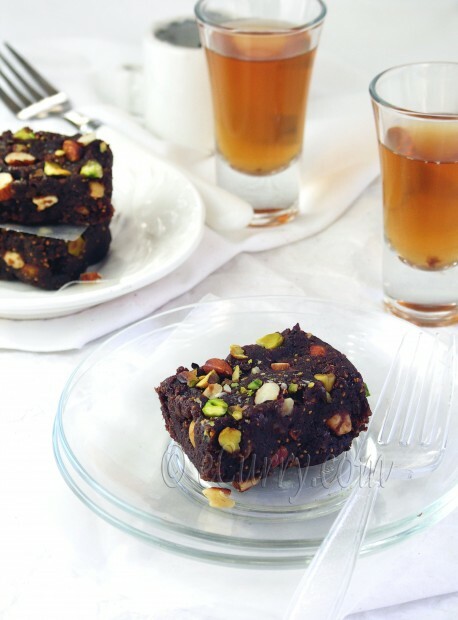 the fig halwa looks amazing…am not yet in cooking mode much but your dish make me enter the kitchen again. Wishing you a very happy diwali too !! when i make fig halwa, i know what recipe i should follow 😉 looks awesome and so tempting. happy diwali! A very happy Diwali to you and your family, Soma. Hope you’ve been well. The halwa looks amazing and the pictures are, as always, a treat. Happy Diwali to you and your family. Anjeer halwa recipe ta khub bhalo laaglo. This is something I want to definitely try out very soon. Tumi eto shundor photo tolo …. I have got addicted to your blog ….. recipegulo darun aar photogulo aro shundor. Happy Diwali to you Soma ! The nut and fig lover inside of me is just drooling in front of those fig brownies ! Those are lovely Soma. Even the idea of figs sounds great to me. Wishing you and family a very Happy Deepavali. 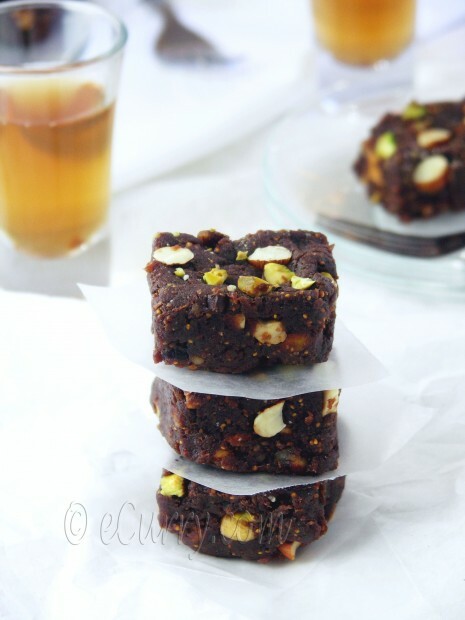 Such good looking fig halwa squares. the most photogenic ones I have ever seen. Happy Diwali to you & your Family. Anjeer Halwa looks so divine. Very nicely decorated. Happy Diwali Soma. These cubes of Anjeer Halwa look so gorgeous, just the way I remember them from all the Diwalis in Dilli. 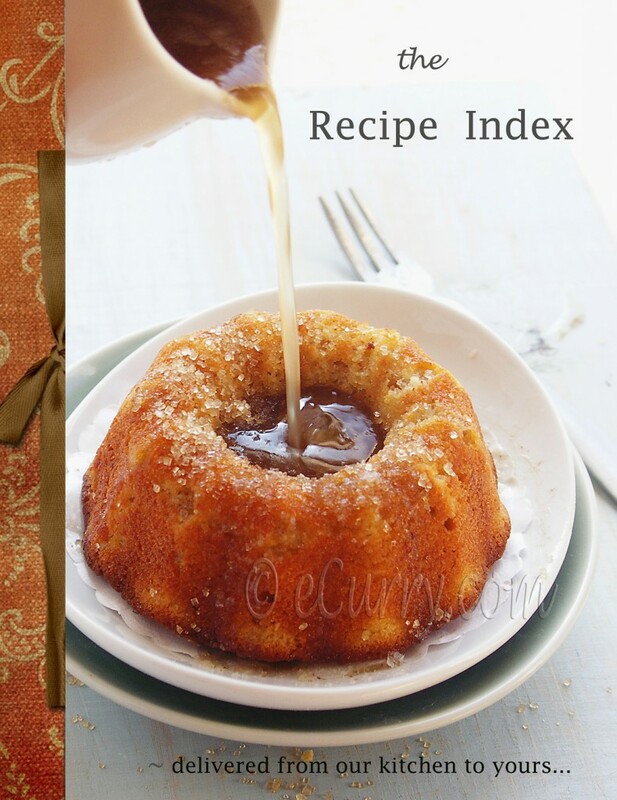 Another festive recipe for me to try. Bookmarking it. Thanks for stopping by squirrel bread, and your lovely comment! 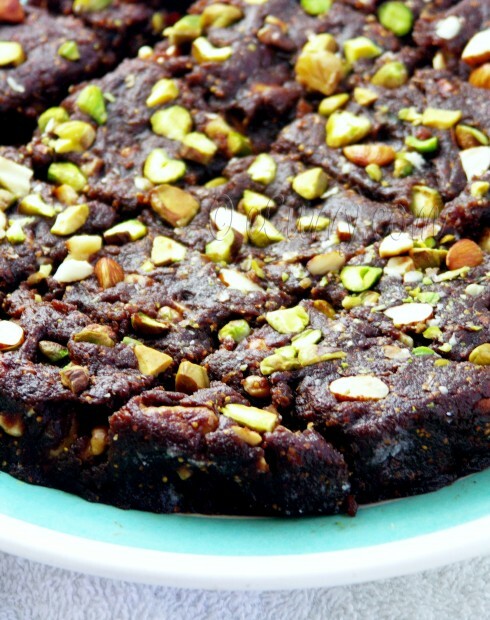 I love this idea of a fig and nut halwa — I’ve never heard of this combination. I’ve been to one Diwali celebration with my Indian college roommate. A treat for all the senses, indeed. I was so happy to be able to attend, and hope to see another one so my fiancée can see what it’s all about! That looks delicious, Soma!I love figs and …your recipe sounds wonderful! I’ve never thought of making a halwa from figs…but it looks so perfectly delicious and beautifully colored. And the pistachios and almonds with the figs sound marvelous. Happy Diwali my dear friend. happy diwali! I love figs!!! 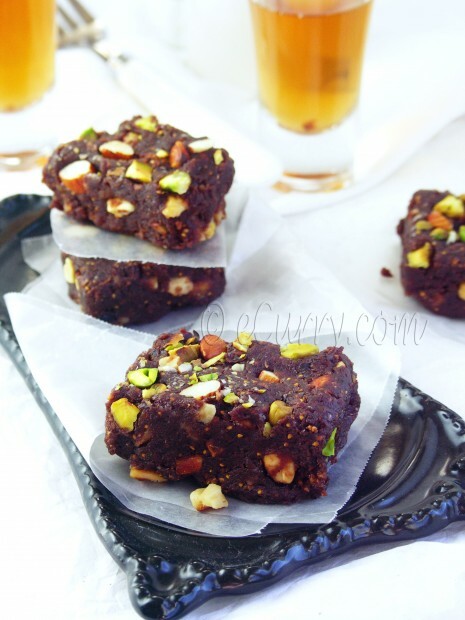 I gotta try this fig halwa! interesting recipe! Happy belated Diwali! Figs are such a gorgeous fruit in general and sound like they’re put to great use in this halwa. What a treat!